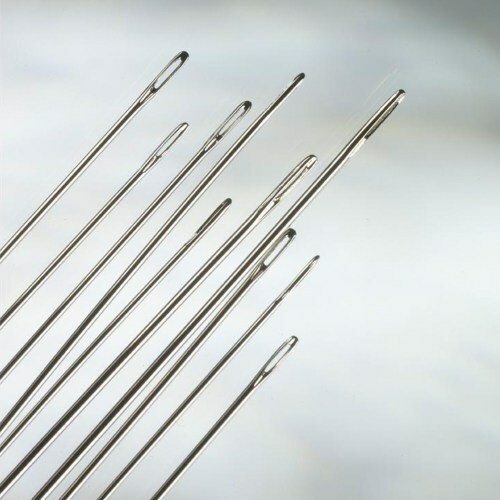 Leveraging on our enormous business competency and huge info of this field, we have brought forth a vast gamut of Hand Sewing Needles. Established in the year of 1997, Jainsons Traders is one of the leading Manufacturer and Trader of Machine Oil, Cloth Buttons, Sewing Needles, Measuring Tape, Dress Hook and much more. Manufactured making use of supreme in class material and progressive tools and technology; these are in conformism with the guidelines defined by the market. Along with this, these are tested on a set of norms prior final delivery of the order.